Last week I joined Bigger Miss's class on a school trip to Butser Ancient Farm to support their current topic of Invaders and Settlers. I have to admit to practically begging to go on it as I was very intrigued and it sounded really rather fun. I wasn't wrong - we had a lovely day albeit a chilly one. The teacher had warned us that it would be cold up on the Downs but it had been a glorious sunny day the day before and we had been lulled into a false sense of security - still it didn't stop us enjoying the trip. I took loads of pictures so this is definitely a picture post of our day. 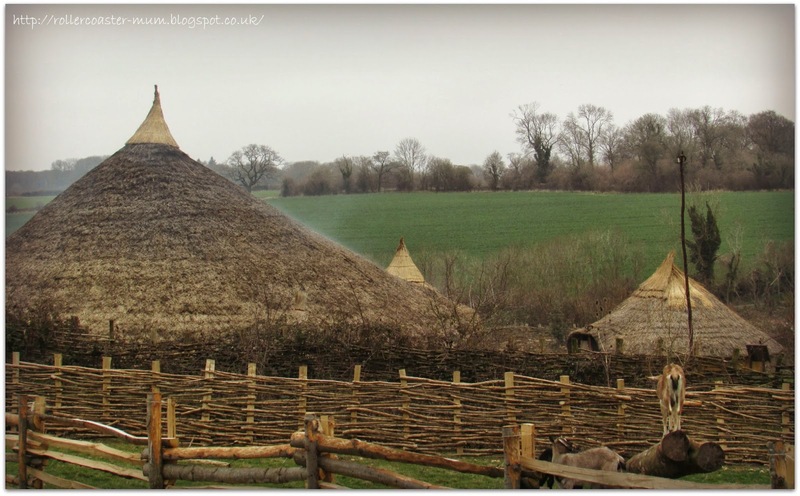 I loved how the Celtic village fitted into the landscape. 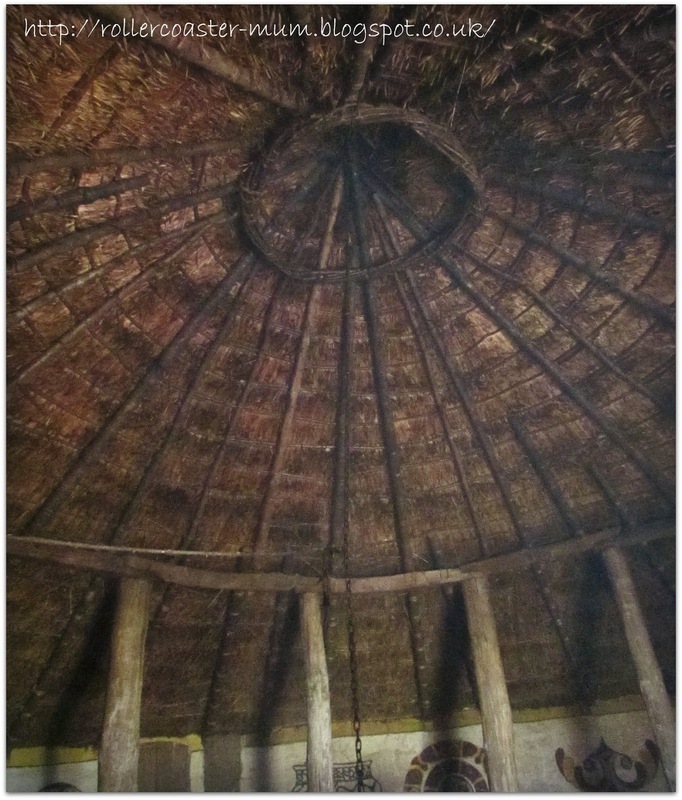 The roundouses were fascinating and all such wonderful shapes with their pointy roofs. They have all been reconstructed based on excavations in different parts of the country so they are as genuine as they can be. 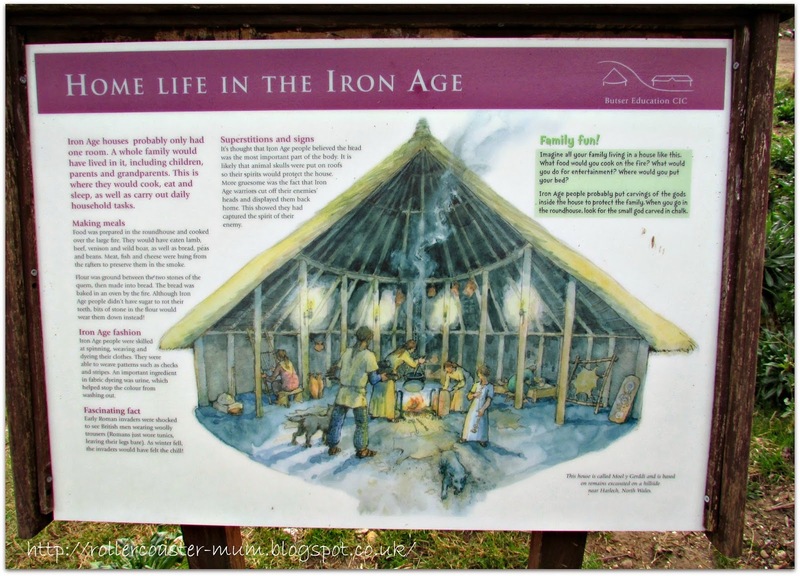 There are some information boards around explaining some of the features like this one outside one of the roundhouses. We didn't really need these as we had a lovely guide for the day called Jenny who was incredibly helpful and informative. 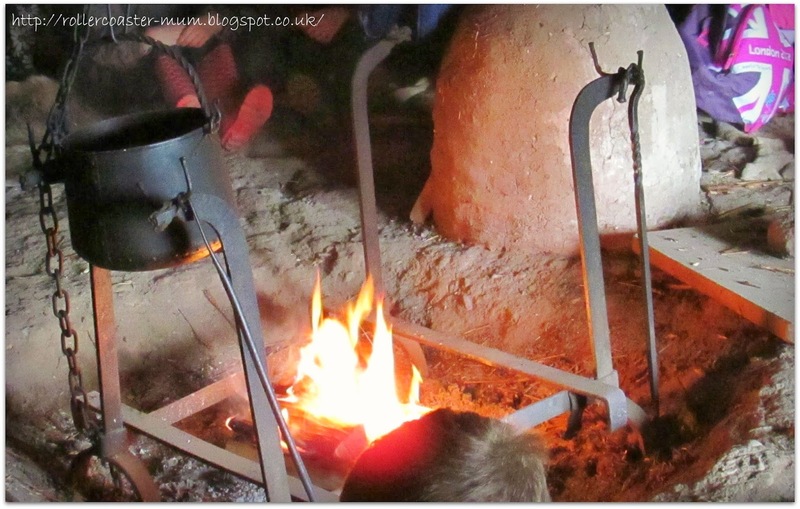 We had our own roundhouse for the day where we could leave our bags, have lunch and huddle around the fire! 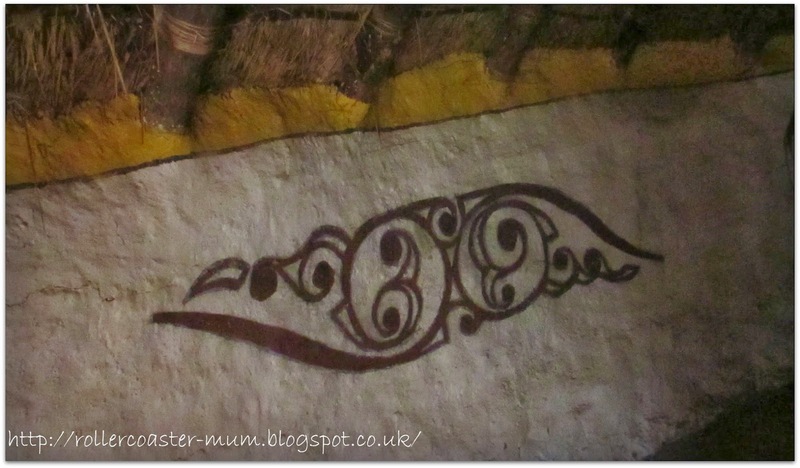 The roundhouse walls had been decorated with lots of fabulous Celtic art which looked great against the white limewash walls. 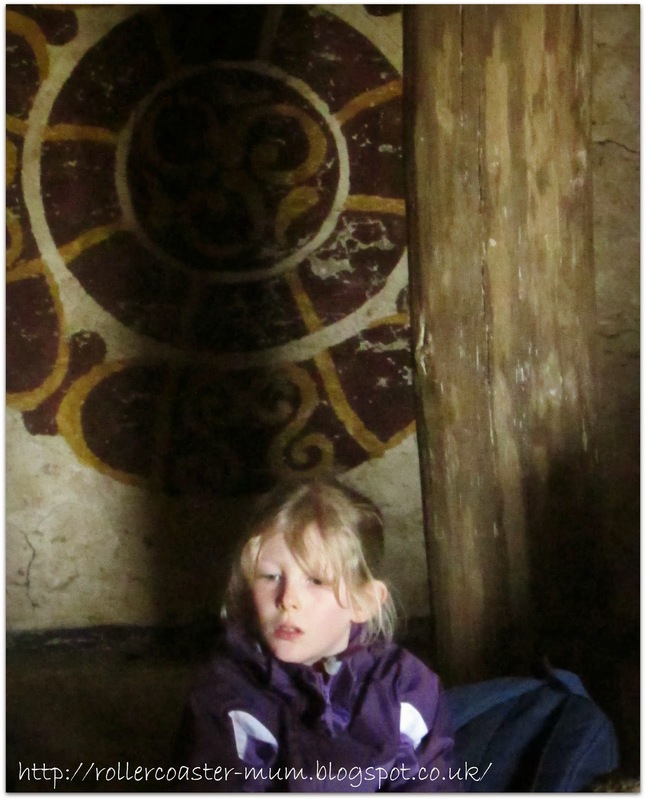 Bigger Miss in our roundhouse with some more Celtic wall art behind her. The roof was quite a work or art in itself and this shows how it joins with walls and the art inside - it was a bit smoky with the fire- hence the slight haze! 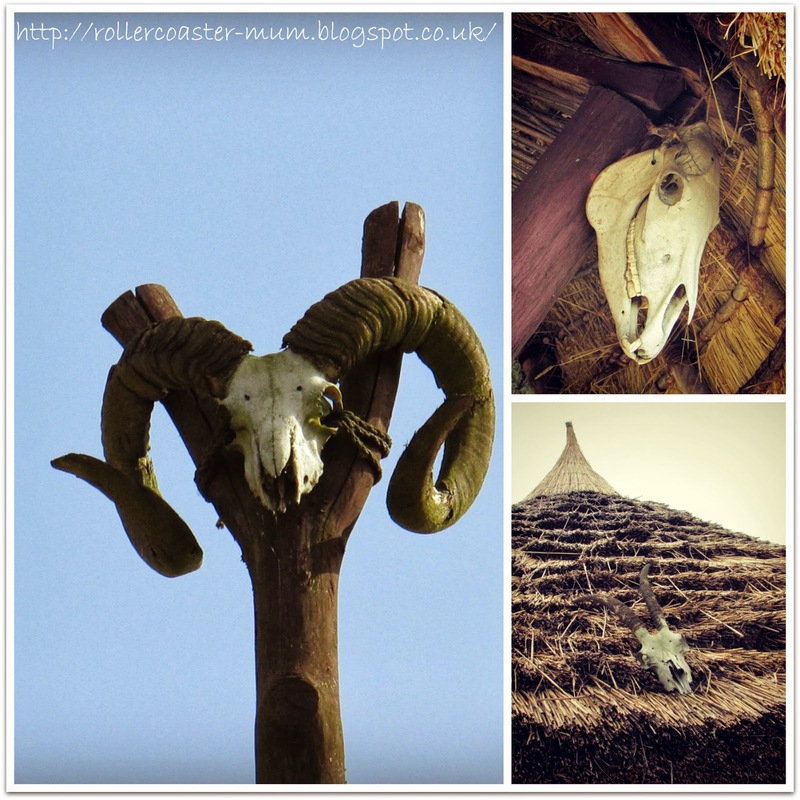 There were animal skulls on most of the rounhouses (I think the celts believed this protected them from evil spirits) and an amazing sheep's skull on a really really tall totel like pole in the middle of the village. 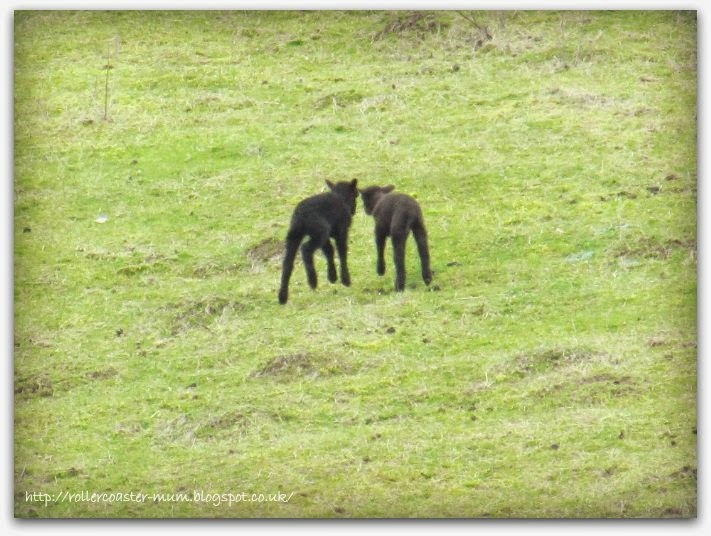 After an introductory talk by Jenny in 'our' roundhouse we went outside to do some spinning but we were all rather distracted at first by some newborn black lambs on the hill. 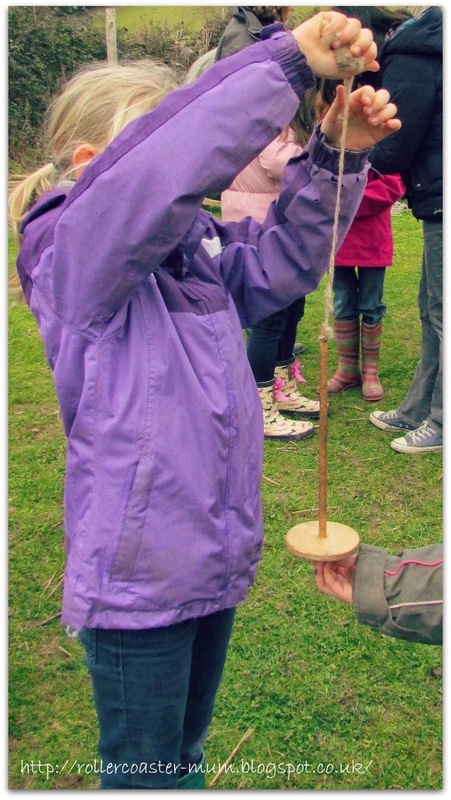 Using the Celtic drop spindle to spin sheep's wool was a lot harder than it looked! 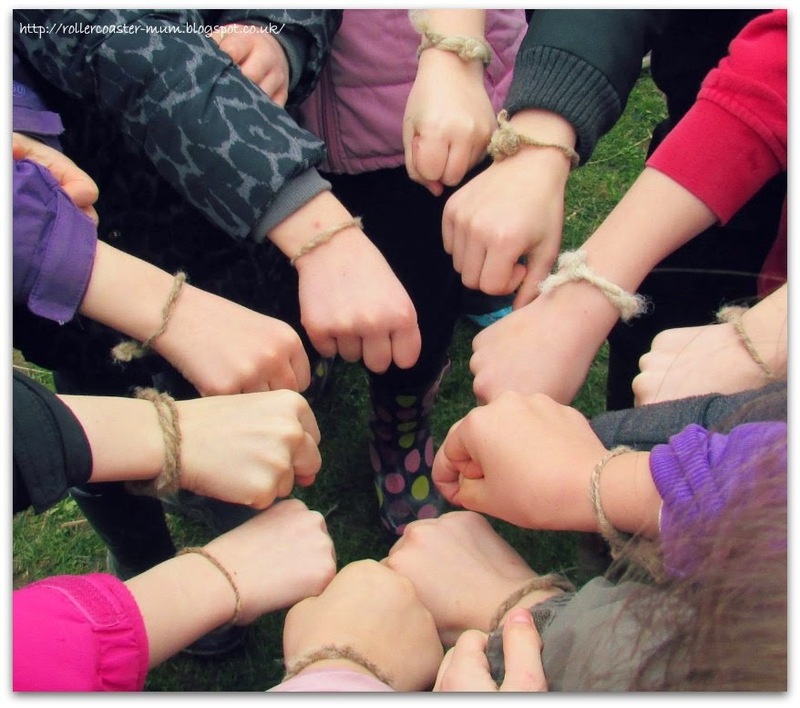 We all managed to spin enough wool to make a bracelet - some were better than others!! 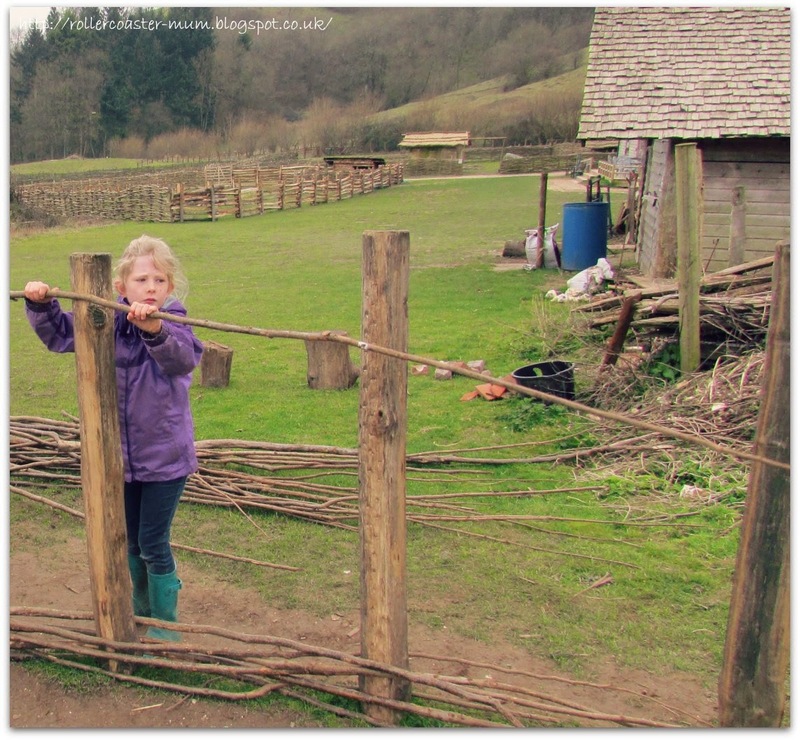 The next activity was making a wattle fence with long hazel sticks. Bigger Miss was a little cold at this point - and obviously concentrating hard! After they had finished their fencing activity they could go and look at the animals like the spectacularly hairy pigs and the four horned sheep - all old breeds to fit in with the farm. The hairy pigs were big too. The best game was to see if you could work out their names though - written in Celtic - using the board showing how the modern alphabet ties up with the Celtic one - can you work it out? 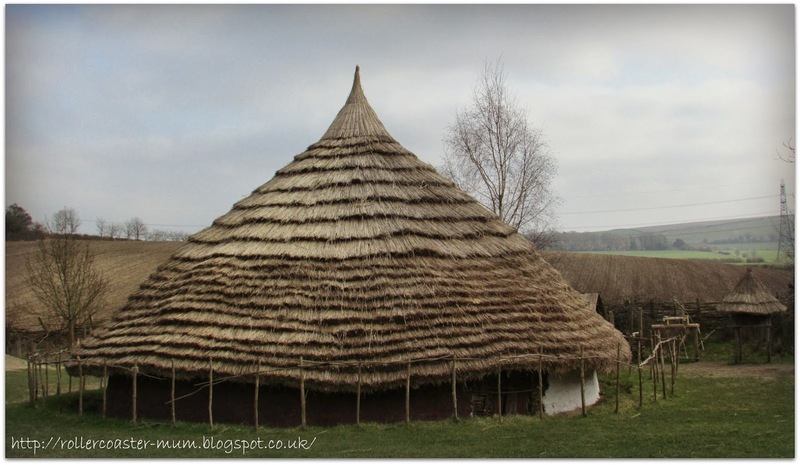 After wattle fence making it was back to the Celtic village and the roundhouse for lunch. Isn't the roof just wonderful? After lunch we had a bit of extra time and our guide, Jenny, very kindly took us round the Celtic village showing us such delights as the toilet (yes they did actually have one), the beehive, the underground butchery, the smoked meat on the ceiling and the furnished roundhouse amongst others. After our tour it was time for the afternoon's activities. 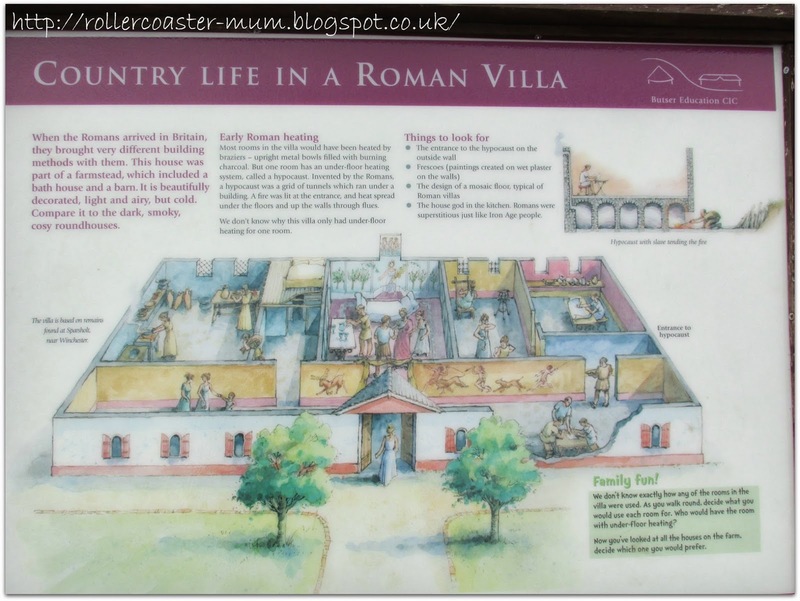 Over to the reconstruction of the Roman Villa to see how it differed from the roundhouse. I didn't take quite as many picture of this- partly because it just wasn't as photogenic as the roundhouses and partly because we had all tired a little I think! I nabbed this picture off Wikipedia so you could see what it looks like! 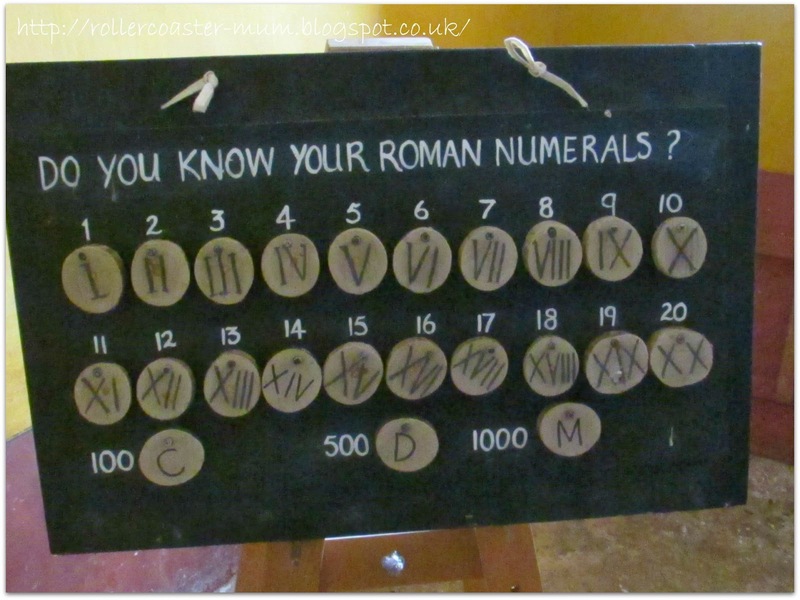 I thought this Roman numeral converter in the Villa might come in handy! 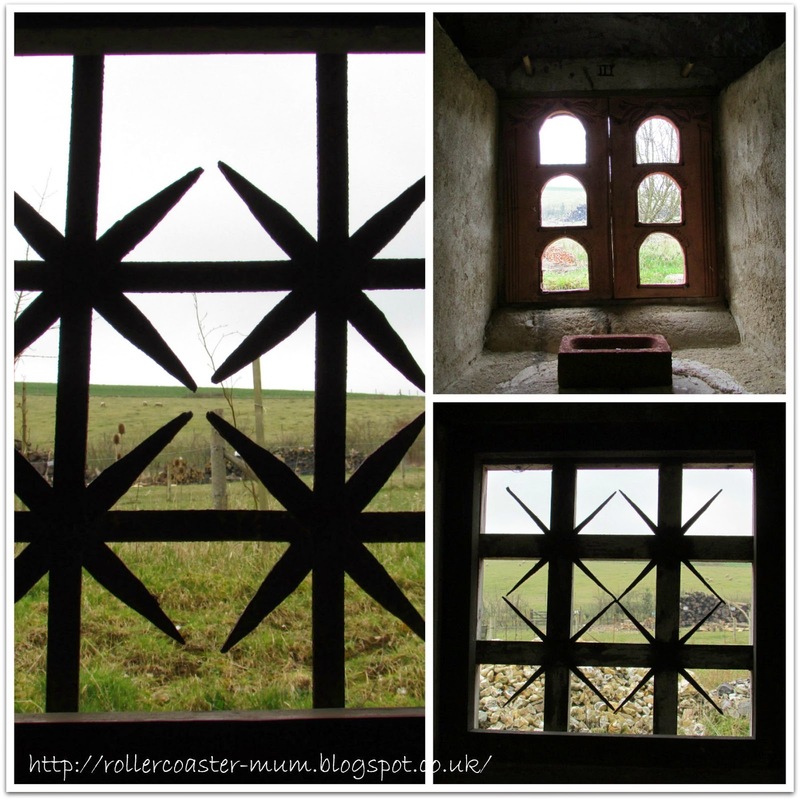 I was quite fascinated by the different patterns on the windows in the Roman Villa so took a few pictures of them- there were also murals painted on the walls which I didn't take any pics of. Being a Lego fan this was my absolute favourite part of the Roman Villa - a whole Roman mosaic made out of Lego - fabulous! I am sure they are more proud of their working hypocaust (Roman central heating) but the lego did it for me! 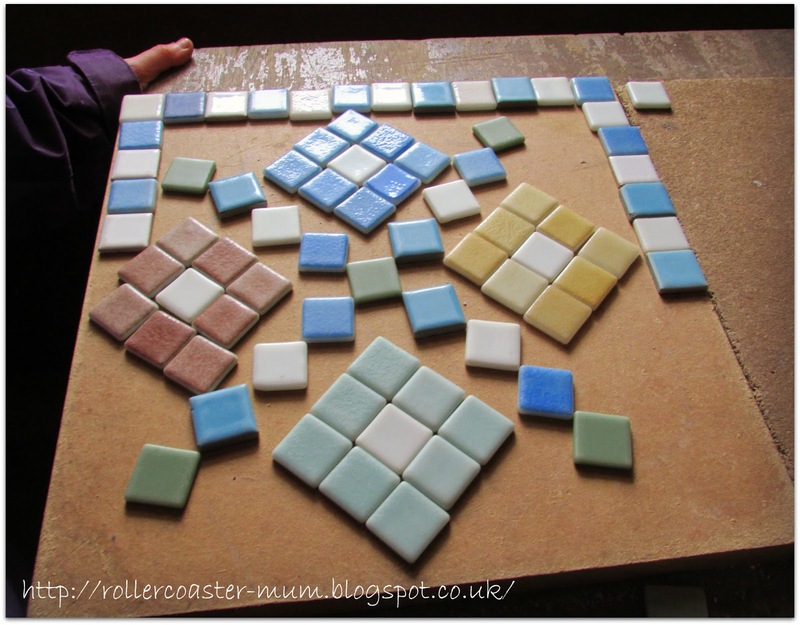 After our tour round the Roman villa the next activity was making some Roman mosaics out of small tiles - this was Bigger Miss's effort - she didn't quite get time to finish it though. The last activity of the day was probably the most popular - even with the boys. 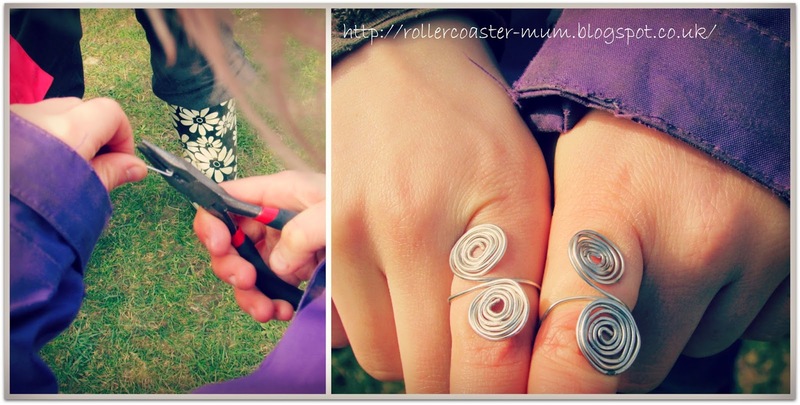 Making Celtic jewellery out of wire -using proper tools. 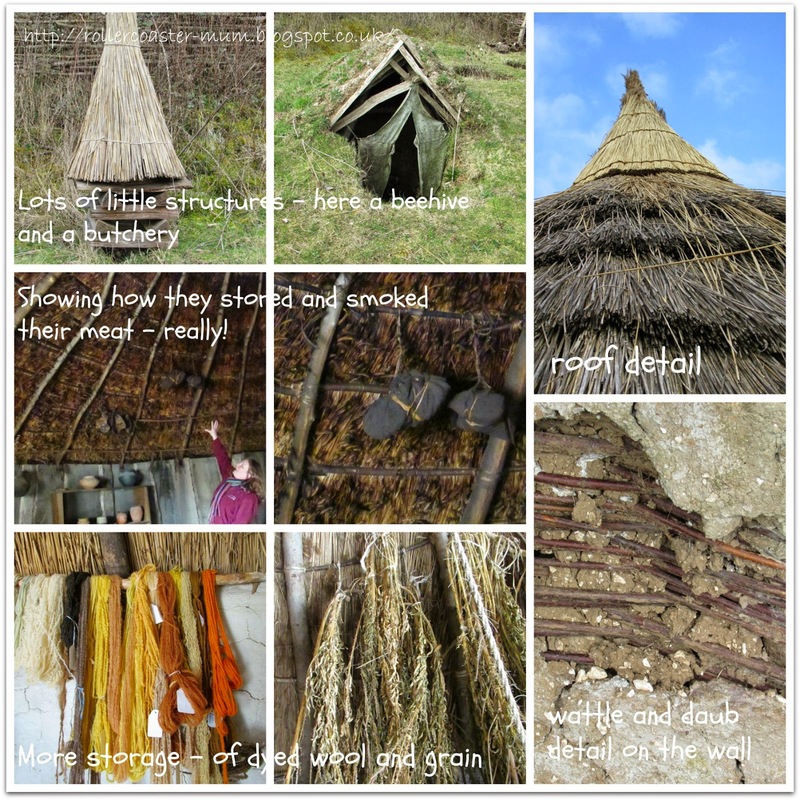 They all got to make one and it was very simple but lots of fun and very effective. 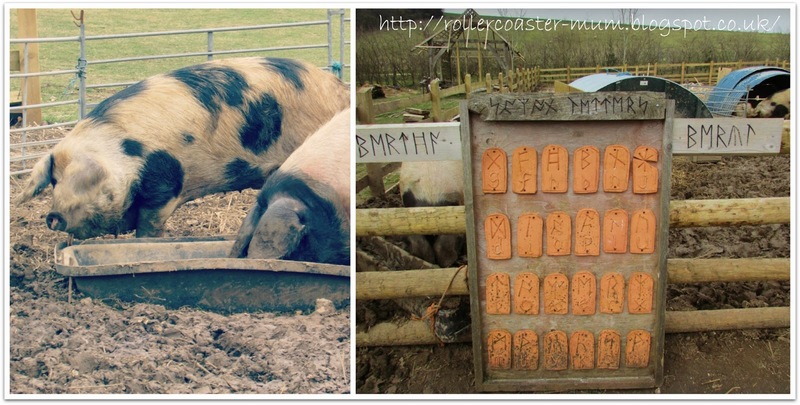 So there you have it - that was our school trip to Butser Ancient Farm. It was a really good day and I had one very tired girl after all that fresh air and fun. Mum was quite tired too! I can thoroughly recommend a visit there if you are passing. It's not just for schools, anyone can go and visit - just check out their website. Please note that this post is all my own words and picture (apart from the Wikipedia one) and is no way sponsored or recompensed. 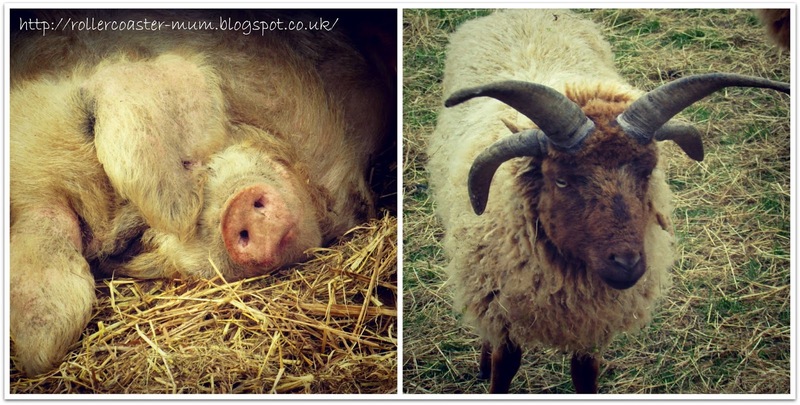 I am linking up with the lovely Coombe Mill for Country Kids as this was definitely a fresh air day! This looks like an amazing school trip! Full of such interesting things. My kids hardly ever go on school trips and never have they been anywhere as good as this! I used to love going on the trips when my oldest was little I really need to start doing more with the children's school again. It was one of the better ones I think, although they also went on a fab one last April/May time. They're quite lucky that from about Yr2 they pretty much go on one every term. What a lovely post. 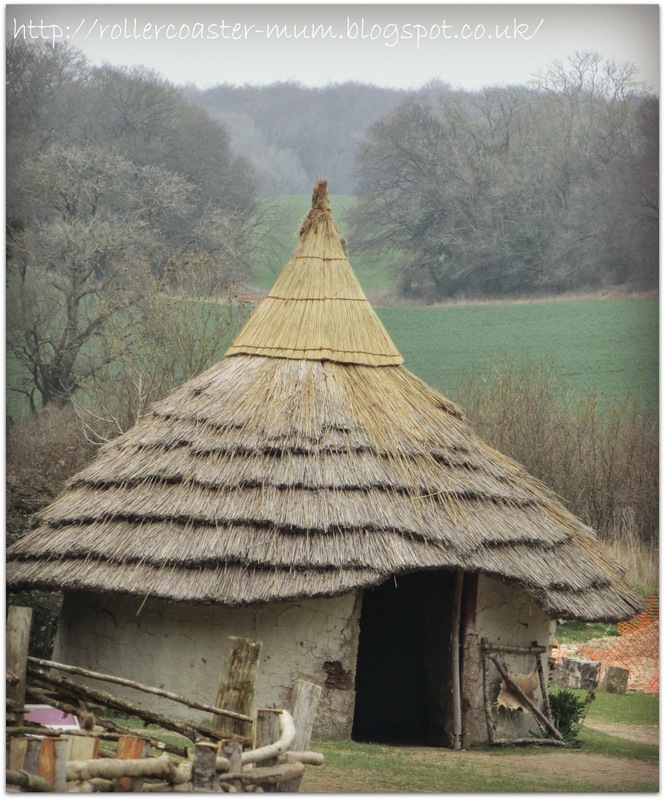 It reminds me so much of our family trip to the Weald & Downland open air museum a couple of weeks ago. So much to see and do it makes learning a joy. Delighted you found the time to link this one to Country Kids. The houses reminds me of the nipa hut at home! I enjoyed looking at your pictures! Looks like an amazing trip! There's nothing like learning by doing and seeing is there. This looks a fantastic place for a school trip and very educational. I LOVE Celtic reconstruction villages! We went to one in Hertfordshire last year, and it was one of my favourite ever days out. 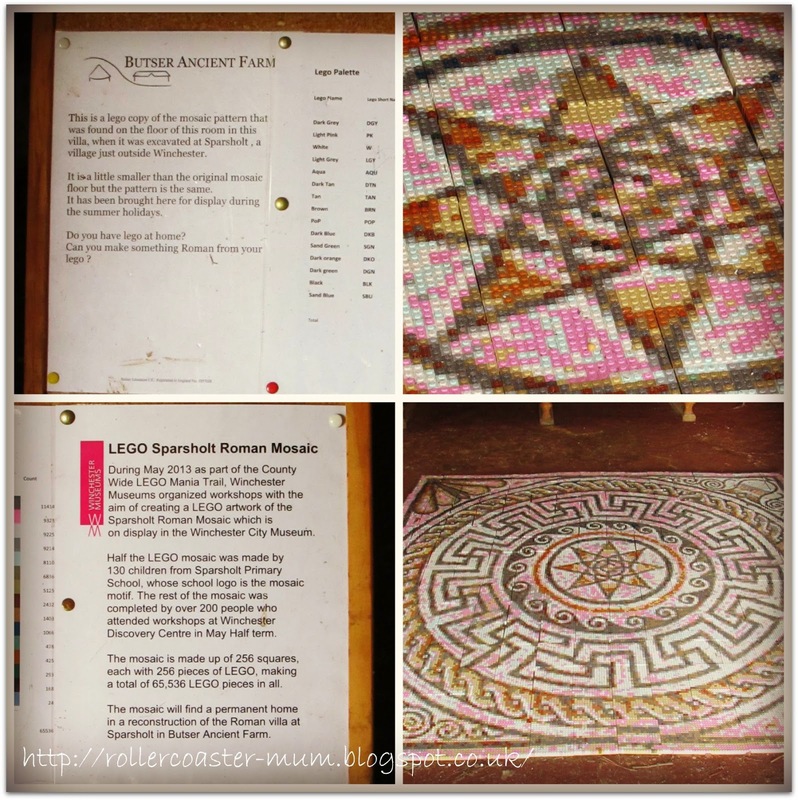 I bet my two would have enjoyed the Roman mosaic-making, too. What a fantastic day. I LOVE the bracelets, the wire jewellery and the Lego mosaic. Looks like you had lots to look at and learn! A busy day. I'm yet to go on a school trip with big monkey! What a fantastic place to visit! Love that they were able to spin bracelets from wool. I have read your blog. I enjoyed your post. I hope It was your best educational trip. I never had seen educational trips like this and this amazing place. really good. Thanks for sharing a amazing post.